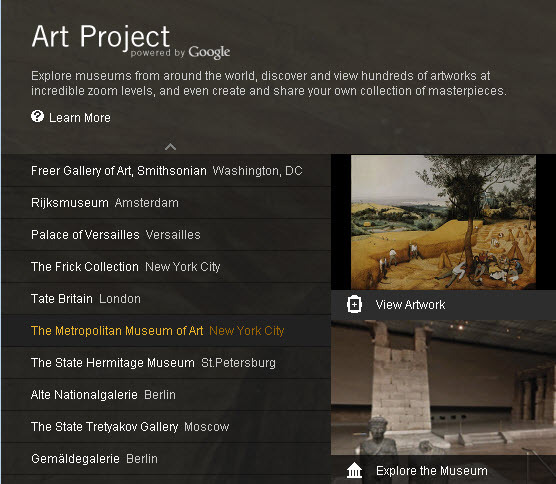 Google has unveiled Art Project, an interactive virtual tour of some of the world’s greatest museums, with an interface similar to Google Street View. Also, each of the 17 museums selected one artwork to be photographed in extraordinary detail using super high resolution or “gigapixel” photo-capturing technology. 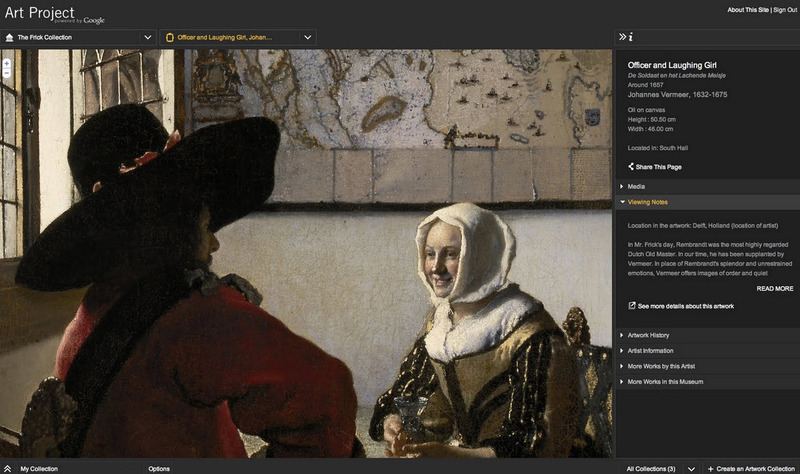 And with the “Create an Artwork Collection” feature, you can save specific views of any of the artworks and build your own personalized collection.